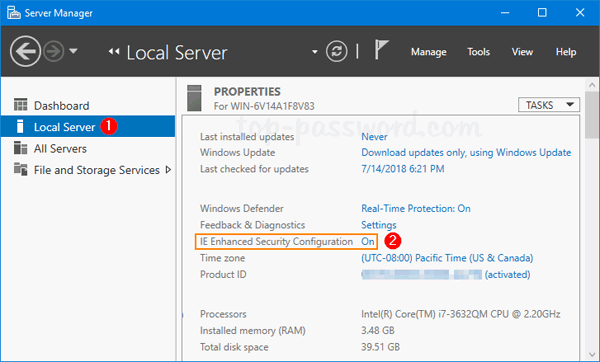 Internet Explorer Enhanced Security Configuration (IE ESC) is enabled by default, which can secure Windows Server against browser-based attacks. However, when you visit a website you trust, you’ll get security warning all the time that asks you to add every new URL to the IE trusted sites zone. This feature can drive me insane. 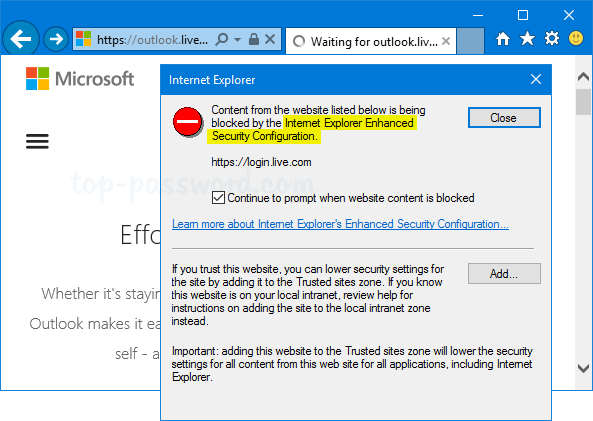 In this tutorial we’ll show you how to disable Internet Explorer Enhanced Security Configuration (IE ESC) in Windows Server 2016 / 2012. 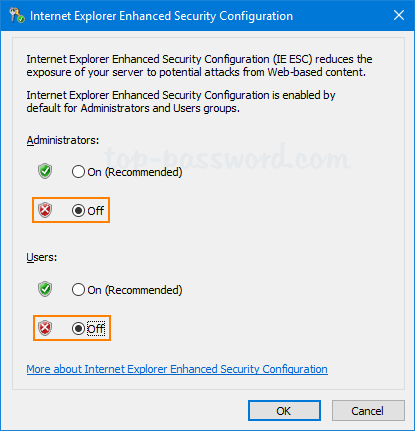 How to Disable Internet Explorer Enhanced Security Configuration? 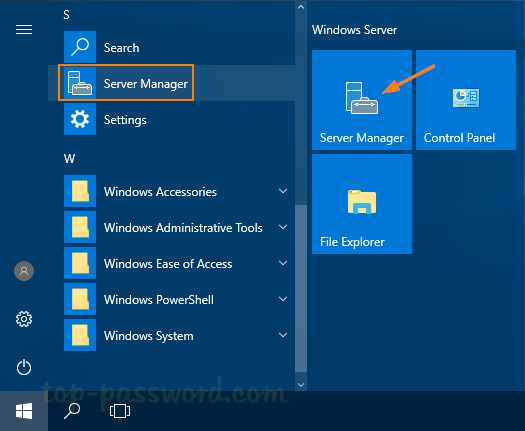 Click the Start Button and launch Server Manager. In the Server Manager dashboard, click on Local Server on the left side. In the right pane, click the On link next to IE Enhanced Security Configuration. Select Off for both Administrators and Users, and click OK. Restart your Internet Explorer and you can now visit all websites without being prompted to add them to IE trusted sites zone. Forgot Your Content Advisor Password in Internet Explorer?